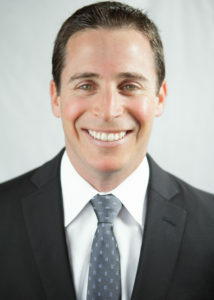 Warren Berzack leads the Lee & Associates multifamily practice locally and internationally as National Director of its Multifamily Advisory Group, headquartered in Los Angeles at Lee & Associates-LA North/Ventura Inc.
Mr. Berzack is repeatedly ranked of the top 50 agents in the nation* and has sold in excess of $2 billion of investment assets. With over 20 years of multifamily, retail and land sales experience, he has successfully closed over 500 transactions and negotiated sales in over 26 states for a large and diverse client base. One of Southern California’s top producers, Mr. Berzack maintains particular expertise in the apartment sector and is a seasoned authority on 1031 Exchanges and Triple Net, management-free investment strategies and sales. As National Director of Lee & Associates’ Multifamily Advisory Group, Mr. Berzack is responsible for directing multifamily efforts throughout the Lee organization nationally and internationally, including developing an international platform, infrastructure and recruiting. Mr. Berzack is also President of his specialty group, Berzack Investment Property Advisors, a highly accomplished team of top investment real estate professionals. Mr. Berzack is repeatedly named one of the Top 50 in the Nation for commercial real estate professionals* by Real Estate Forum, identified as “the cream of the crop” and “on the path for stardom in the commercial real estate arena.” He was also chosen two years in a row for each of these illustrious honors: “Tomorrow’s Leaders of Southern California” from Real Estate Forum, the “30 Under 30” Award from Real Estate Southern California and the “Top Gun” Award (#3 broker in the nation) from GE/Trustreet Properties. Mr. Berzack is the #1 multifamily agent at Lee & Associates and has consistently ranked as one of the top agents at his respective firms since his first year in the business. Mr. Berzack joined Lee & Associates in 2011 and quickly rose the ranks, becoming its top multifamily agent, serving on its Board of Directors since 2013, and named National Director of its Multifamily Advisory Group in 2016. At his previous firm, Mr. Berzack was a Vice President, where he ranked among the top agents for 10 consecutive years. During that time, he founded Berzack Investment Property Advisors, which readily became a highly successful group with decades of combined experience and a laudable track record. Beyond brokerage, he is the founder and leader of Captains of Industry Association, an elite networking group of highly successful real estate principals in Southern California. In his private life, Mr. Berzack is actively involved in several philanthropic efforts. 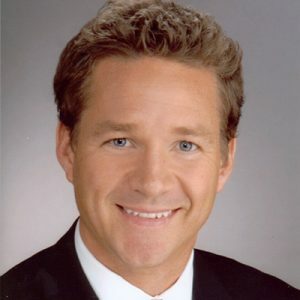 Brian Pohl is a Principal at Lee & Associates with an exclusive focus on multi-family investment property sales. With over 17 years of transactional experience. Brian leads the firm’s capital markets efforts in multifamily while also being a market leader within the Lee & Associates National Multifamily Advisory Group. 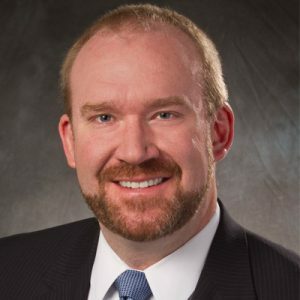 Brian specializes in the acquisition, disposition, and placement of real estate investments in the greater Chicago area and throughout the Midwest. He works predominately on behalf of private equity and quasi-institutional investors, owners, operators, and developers. Brian’s emphasis is on all subsets of residential assets including high-rise, garden apartments, condominiums, de-conversions/conversions, student housing, and affordable housing. Another main component of Brian’s practice includes land brokerage and consultative services including site selection, land use analysis, acquisition and disposition, assemblage, feasibility studies, and demographic mapping – all of this is to aid land owners developers, investors and municipalities. Brian’s experience ranges from large tracts of vacant land to city and suburban infill sites and includes a variety of uses such as residential, retail, commercial, and industrial. Brian possesses extensive relationships with developers and investors ranging geographically from local to regional as well as worldwide. Brian has more than 17 years of multi-family real estate investment experience. The $1.25 billion of asset sales he has completed during this time has been on behalf of a variety of institutional and private owners. As Principal of Lee & Associates’ Arizona Apartment Group, Mr. Braun’s activities focus on the sale of multifamily real estate and land in Arizona. Based in Lee & Associates’ Phoenix, Arizona office, Mr. Braun is primarily responsible for the firm’s apartment sales operations. 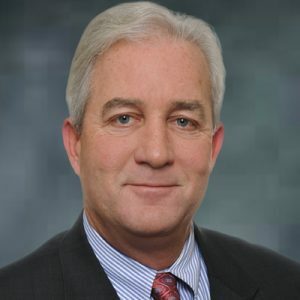 Prior to joining Lee & Associates in 2011, he was the Senior Director of Cushman & Wakefield’s Apartment Group, as well as a Senior Vice President with CB Richard Ellis in Phoenix, Arizona. 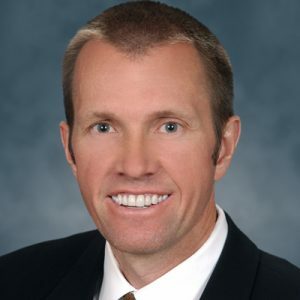 Todd has been in the commercial real estate business in Metropolitan Phoenix since he joined CB Richard Ellis in 1985 and is a licensed real estate salesperson. Mr. Braun concentrates specifically on the marketing of multifamily properties and land. Throughout his tenure, Mr. Braun has been involved in the closing of approximately 25,000 apartment units and land with a value in excess of $1.5 billion. Mr. Braun holds a Bachelor of Science Degree in Finance from Arizona State University. He is a licensed agent with the Arizona Department of Real Estate. Trey Burgess began his professional real estate career in 2000 as a residential real property fee appraiser. In 2004, he joined Ocwen Realty Advisors as a Residential Analyst performing national portfolio valuation reviews, prefunding reviews, forensic valuation analysis, and valuation for loan servicing. In 2007, Trey joined Collateral Risk Solutions as a Review Appraiser where the primary focus of his work for the next seven years centered on national retrospective valuation for Fannie Mae and Freddie Mac. Trey maintains a Residential Real Property Appraiser license in the State of Georgia and has also held appraiser licenses in North Carolina and Tennessee. In 2008, Trey became a licensed Real Estate Salesperson in the State of Georgia affiliating with his family’s real estate development and holding companies. There he assisted in the planning and development of existing assets for maximum occupancy and returns as well as site location, acquisition, and disposition. Trey acquired his Associate Broker license in 2013. Trey joined Marcus & Millichap Real Estate Investment services in 2014 as a multifamily specialist. There he further developed and focused his financial and analytical skills, allowing him to build strong advisory relationships with sellers, buyers, and developers of multifamily investment properties in the Atlanta Metro area and throughout the Southeast. Trey joined Lee & Associates in 2015 where he plans to continue his work specializing in both multifamily investment sales and multifamily land sales throughout the Southeast. Before joining Lee & Associates, Rick Gelmetti was President of the International Realty Group for 15 years. He specializes in office and flex space leasing and sales of buildings with geographic coverage including the suburban counties of New Jersey with emphasis on Somerset, Morris, Essex, Union and Middlesex County. 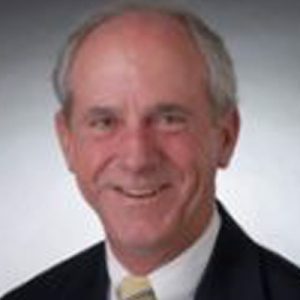 Rick formed International Realty Group after many years in the real estate business with Helmsley-Spear and Weichert and after a career in the engineering business. He has real estate investment and development experience in California, Arizona, Minnesota, Pennsylvania and New Jersey. His formal education includes a Masters in Finance from the Rutgers Graduate School of Management and a Civil Engineering degree from the University of Connecticut. He holds memberships in the Industrial and Office Real Estate Brokers Association of the New York Metropolitan Area (IOREBA), and previously with the National Association of Industrial and Office properties (NAIOP) and the National Association of Corporate Real Estate Executives (NACORE). He is involved in the Edison Chamber of Commerce and the local YMCA. Rick and his wife are residents of Westfield, and he has two grown children in the engineering business. Bob Lindgren has over a third of a century of involvement in the brokerage, management and development of commercial, industrial and investment real estate. Beginning his career in the wake of the REIT crash of the mid-seventies, Bob has assisted his customers and clients throughout every kind of financing and economic environment. Meeting the challenge of accomplishing the user-investor’s goals has helped him gain experience in tenant and landlord representation, brokerage of investment property, funding of equity and consulting on the redevelopment of aged but viable property. These experiences help make Bob an excellent choice to help solve your real estate needs. President & Principal Broker, MSR Realty, Inc. Sales Manager of Mid States Realty, Inc.
Steve Weiss is a Senior Vice President at Lee & Associates Chesapeake Region where he focuses on investment sales and in the sourcing and placement of Equity and Debt for real estate transactions. Steve also specializes in private client transactions as well as having a particular specialty practice dealing in multifamily transactions. 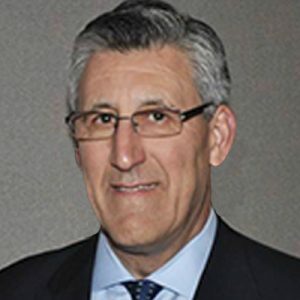 While at Collier’s International, he served as a co-chairman of the National Colliers Multi-Family Advisory Group for two terms and served on the National Steering Committee for over 14 years. Steve was also a member of the Colliers Asset Resolutions Team handling many dispositions of REO and OREO assets for large national firms such LNR, Wells Fargo, the FDIC, and multiple banks. Steve’s responsibilities include the management of complete real estate transactions from conception through final disposition and the structuring of out-of-the-box equity and debt requirements for sophisticated transaction consummation. Steve is able to efficiently analyze an objective, develop a strategy, set goals and execute the strategy to achieve the desired results. with an agent in your area.